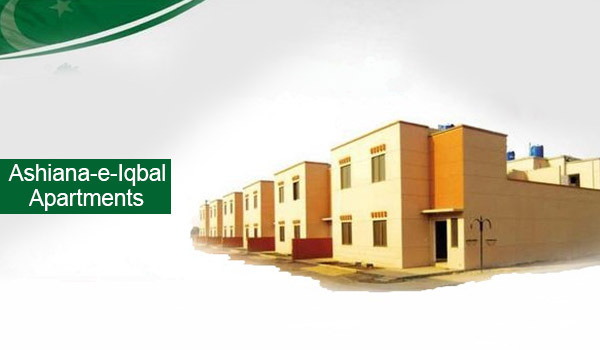 Ashiana-e-Iqbal Apartments, a project of the Punjab Land Development Company (PLDC), is a low-cost residential development aimed at catering to the housing needs of the low-income strata. Considering the affordability factor, a good number of people applied to book apartments in the locality, but they are still waiting for balloting. It’s been months now and there is no official word from the PLDC in this regard. Simply put, the members have no clue about the ins and outs of the project. Conceiving the anxiousness of the members, I tried to contact a PLDC official to get some information about balloting, but the official - who requested not to be named - could not provide any strong facts. He said, however, that the summary for balloting of apartments has already been sent to Chief Minister (CM) Shahbaz Sharif and balloting will take place after the CM’s approval. The official also stated that the CM was supposed to grant approval in December, but he could not do so because of his busy schedule. The PLDC official did not provide any concrete date for balloting either, but said it will take place sooner rather than later, possibly in January 2016. He said further that the PLDC will ballot 10,000 apartments, which means the project will address the housing needs of the same number of families. I believe the summary sent to the CM must have had some information about the completion of the project, but the official could not confirm the completion date, saying it is ‘confidential information’. Though Ashiana-e-Iqbal is a truly affordable housing project even for salaried individuals, delay in the project has become a pain. The instalment plan spans 10 years, however, the PLDC official said that possession will be handed over to the members who will settle their accounts sooner. I understand that you are awaiting balloting of apartments, but I suggest you wait and see and expect some announcement from the PLDC, which should be sooner rather than later. We also request the CM to grant approval for balloting as soon as possible so that members can get some relief and can also see their dream of owning a home come true. Maybe the government is focusing too much on the Orange Line Metro Train project because of which it is not paying particular heed to Ashiana-e-Iqbal, or perhaps something else is underway behind the scenes. Rest assured, I am keeping an eye on the project to update you about any latest developments. I also have list of members who applied for booking. So, if you want to confirm whether your name is in the list, please share your name and ID card number with me in the comments sections below and I’ll let you know.